Symphony X: Announce co-headlining tour with Overkill. 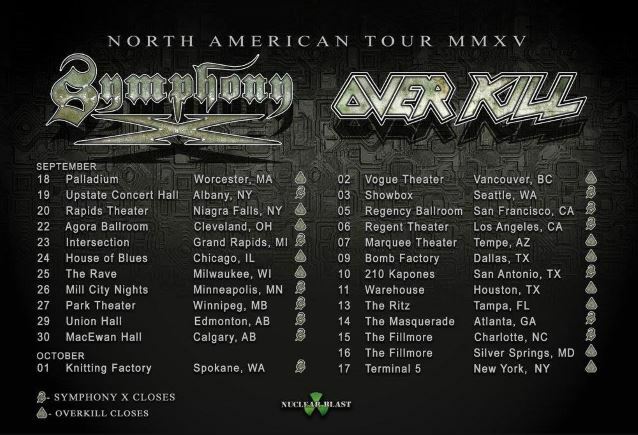 New Jersey metallers OVERKILL and SYMPHONY X will joined forces for a North American tour in September/October. The 24-date co-headlining trek launches at The Palladium in Worcester, Massachusetts on September 18, hits four Canadian cities, then wraps up with a very special night at Terminal 5 in New York City on October 17 — the first time in the bands’ combined histories that they'll play a show together in their own backyard. Advanced tickets for the confirmed tour dates below are on sale exclusively at EnterTheVault.com until April 15, when they go on sale everywhere. VIP packages include a meet-and-greet session with both bands and an exclusive poster. 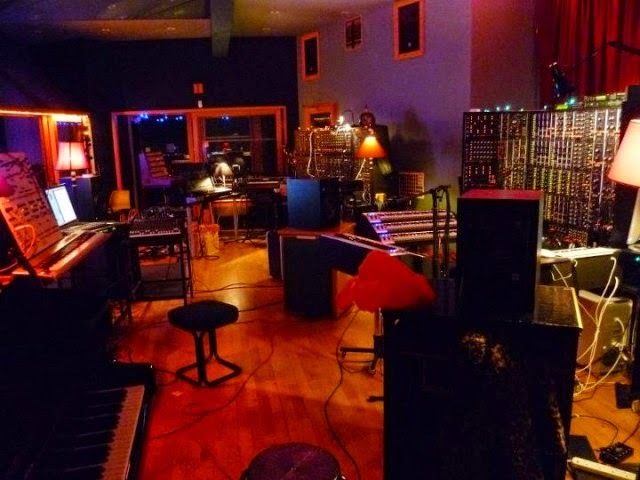 SYMPHONY X is putting the finishing touches on the long-awaited follow-up to 2011's "Iconoclast" for a late 2015 release via Nuclear Blast. Regarding the musical direction of the new SYMPHONY X material, the band's bassist, Michael LePond, told the "Talking Metal" podcast: "I think this album is not gonna be as heavy as our last one, 'Iconoclast'. If I had to compare this one, I would say it's a combination of [2002's] 'The Odyssey' meets [2007's] 'Paradise Lost'. 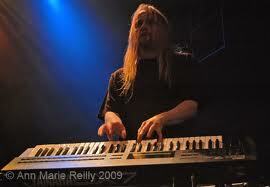 It has a lot of classic SYMPHONY X elements in it, and I think our old fans are really gonna appreciate this one. So we're really excited about it." 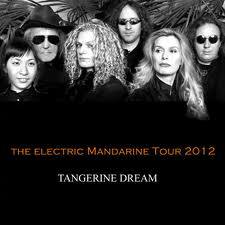 According to LePond, "It wasn't a conscious decision to go back to the older sound; it just kind of happened. That's the way we write songs. We just start writing songs, and wherever it takes us, it takes us. But there's a lot of really cool, classic SYMPHONY X things in there. It's very, very musical. 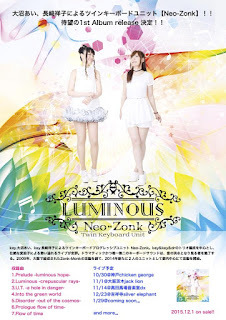 It concentrates just more on solid songs and great melodies."